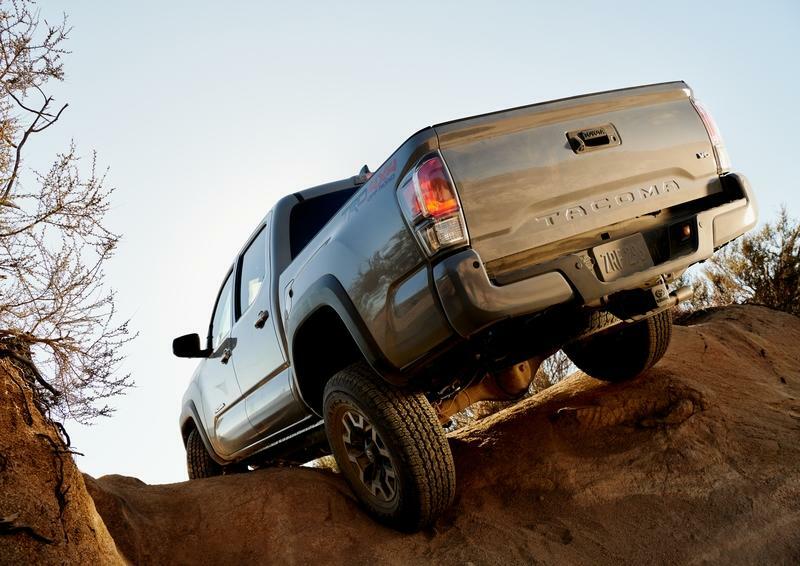 In 2004, the Toyota Tacoma made the jump from compact to mid-size dimensions following its second-generation update, and the 2020 model year keeps the status quo in that respect. 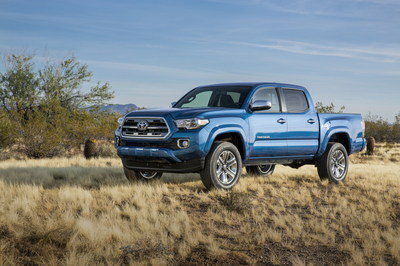 However, Toyota was compelled to update the Tacoma’s styling for the 2020 model year, taking inspiration from the brand’s desert racing truck program. That said, the 2020 Tacoma TRD’s exterior upgrades are relatively modest when placed side-by-side with the outgoing model. Highlights include a fresh array of LED lighting throughout, a slightly revised grille, and a set of all-new wheel designs. Let’s start with the TRD Sport model, which comes equipped with new 17-inch rollers in the corners. 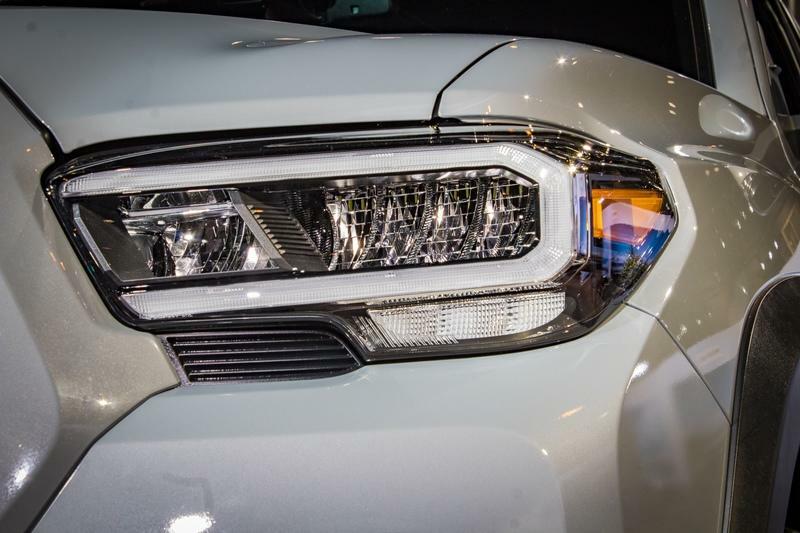 Moving around to the rear, the TRD Sport also comes with chrome taillight graphics, while the fascia is brightened by LED fog lights. Further LED lighting is used for the daytime running lights and headlights as well. 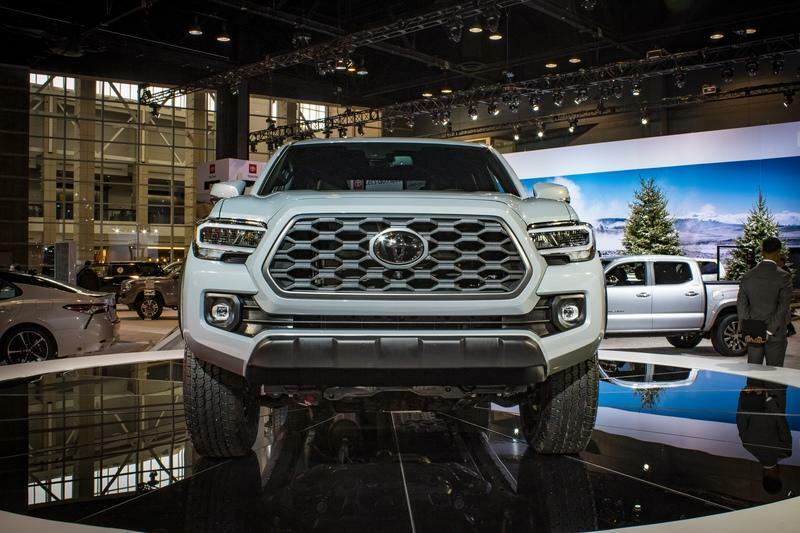 Up next, we have the Tacoma TRD Off-Road, which also gets a new grille design, chrome taillight graphics, LED fog lights, and LED daytime running lights with LED headlight illumination. Finally, there’s the range-topping Tacoma TRD Pro grade, which gets the most updates with the latest 2020 model year refresh. Up front, you’ll find sequential LEDs for the daytime running lights in the headlight housings, plus LED fog lights from Rigid Industries as standard. There’s also black graphics for the taillights. Meanwhile, the corners are stuffed with new 16-inch wheels, which are a little over four pounds lighter than the previous TRD Pro’s wheels. 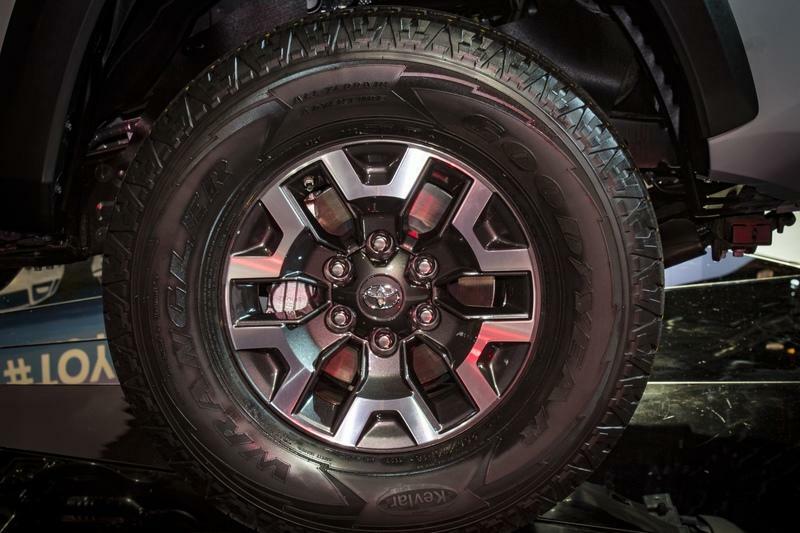 While four pounds might not sound like a lot, it’s a pretty significant reduction when applied to the truck’s unsprung running gear, and it should help the TRD Pro in terms of maneuverability both on and off the road. 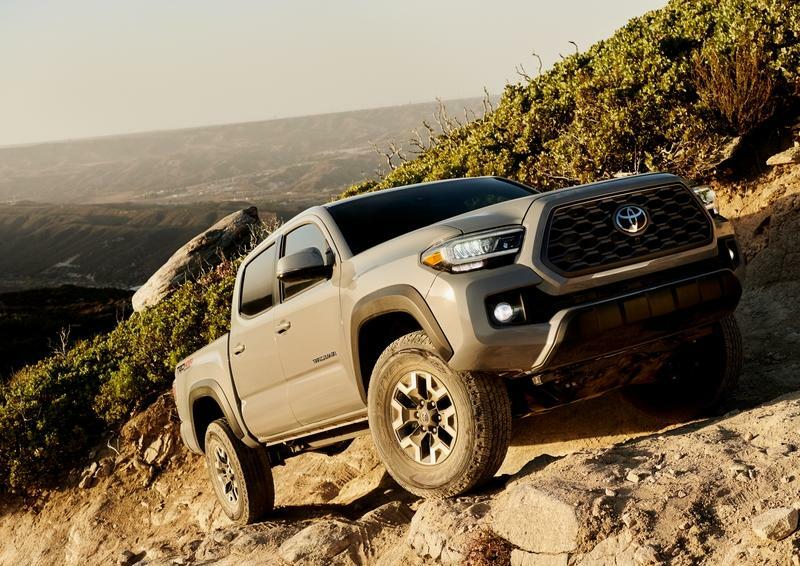 Buyers interested in the 2020 Toyota Tacoma TRD Pro will have the option to drape it in Army Green paint, which is exclusive to this particular model year and trim level. The rest of the range will be offered in exterior colors like Super White, Midnight Black Metallic, and Magnetic Gray Metallic. 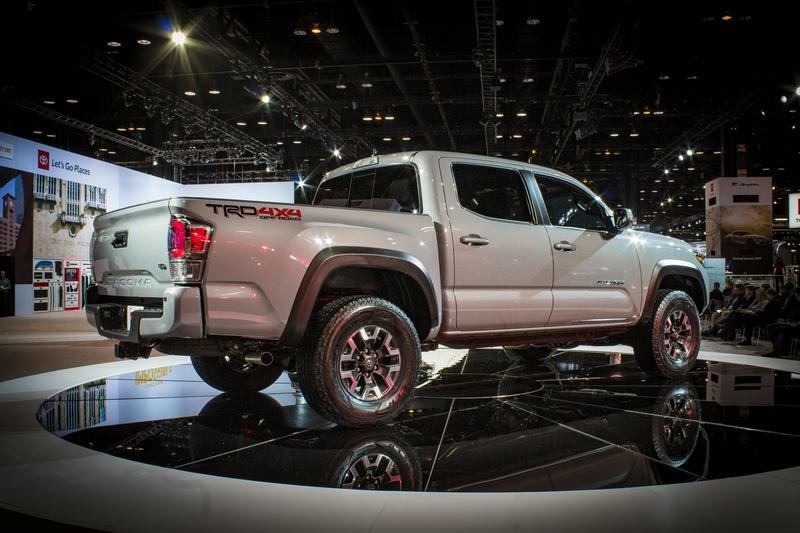 As before, Toyota will offer its range of Tacoma TRD trim levels with the option for two different body styles. 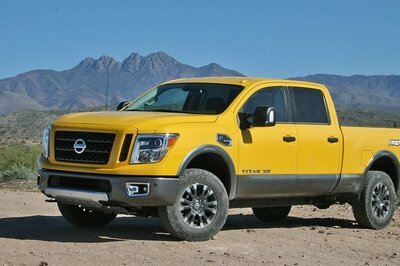 The first is the Access Cab, which comes with two doors, a 127.4-inch wheelbase, and a 73.7-inch (6.1-foot) long bed. Alternatively, you can get the Double Cab style, which adds two rear doors for improved ingress and egress. 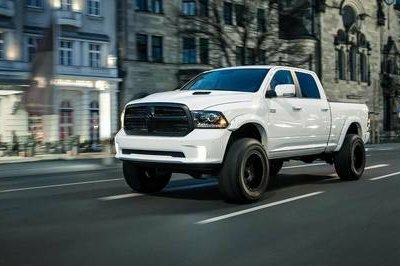 Go for the Double Cab, and you’ll have the option for either a 127.4-inch wheelbase and a 60.5-inch (5-foot) bed, or a 140.6-inch wheelbase with a 73.7-inch (6.1-foot) bed. All bed options are 41.5 inches wide and 19.1 inches deep. 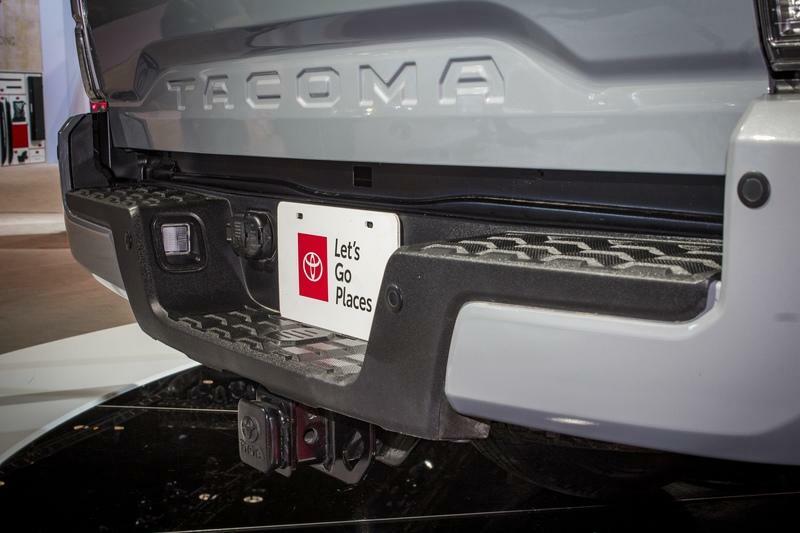 It’s also worth noting that the Tacoma uses sheet-molded composite deck for the inner bed construction, which means the walls are 10-percent lighter than a steel-based alternative. As for the competition, the new Ford Ranger is offered with either a two-door SuperCab configuration and 6-foot box, or a four-door SuperCrew configuration and 5-foot box. Meanwhile, the Jeep Gladiator is offered with four-doors and a 5-foot bed, while the Chevrolet Colorado can be had with a two-door Extended Cab Long Box (6.2-foot bed), four-door Crew Cab Short Box (5.1-foot bed), or four-door Crew Cab Long Box (6.2-foot bed). Just like the outgoing model, the 2020 Toyota Tacoma TRD offers seating for five with the Double Cab configuration, and seating for four with the Access Cab configuration. However, one criticism often thrown towards the nameplate is a lack of luxury and modern features. However, the latest 2020 model year hopes to rectify that across the board thanks to a host of new multimedia technology and additional comfort and convenience equipment. Headlining the list is new 10-way adjustable power seats, while onboard infotainment now includes Apple CarPlay, Android Auto, and Amazon Alexa support - all of which are crucial in a modern vehicle regardless of the segment. Running it all is an upgraded 8.0-inch touchscreen in the dash. Looking down the lineup, the TRD Sport model now comes with a Passenger Smart Ket entry feature as standard to help ease ingress and egress. This trim level is also offered with a Panoramic View Monitor that provides a digital feed of what’s immediately around the truck through to a series of exterior cameras. This feature is particularly useful for tight trails, or, if you’re tackling the urban jungle, tight parking spaces. 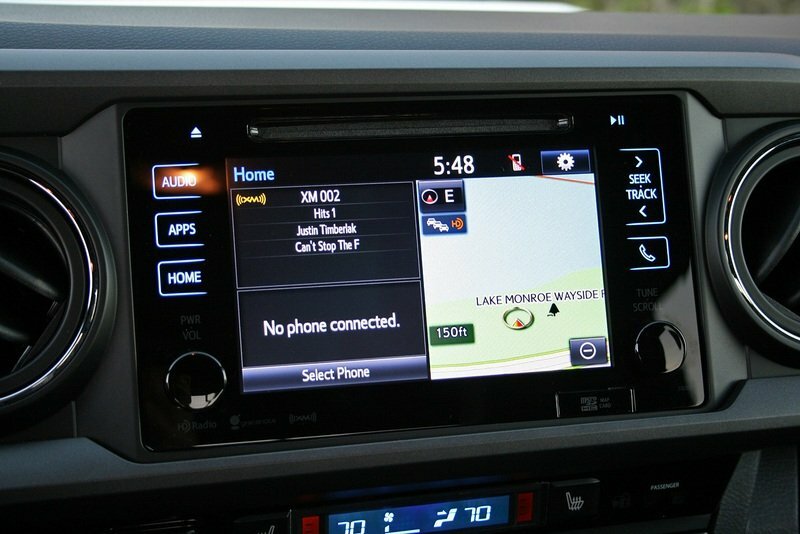 Next up is the TRD Off-Road trim level, which also comes with a Passenger Smart Key feature. Meanwhile, the Panoramic View Monitor is replaced with the more comprehensive Multi-Terrain Monitor. This feature was plucked from the off-road friendly Land Cruiser, and includes a view of what’s directly under the truck, as well as what’s around it. Finally, there’s the TRD Pro model, which comes as standard with a power moonroof. Grab the automatic transmission on this model, and you’ll also get yourself a standard JBL Premium Audio system. 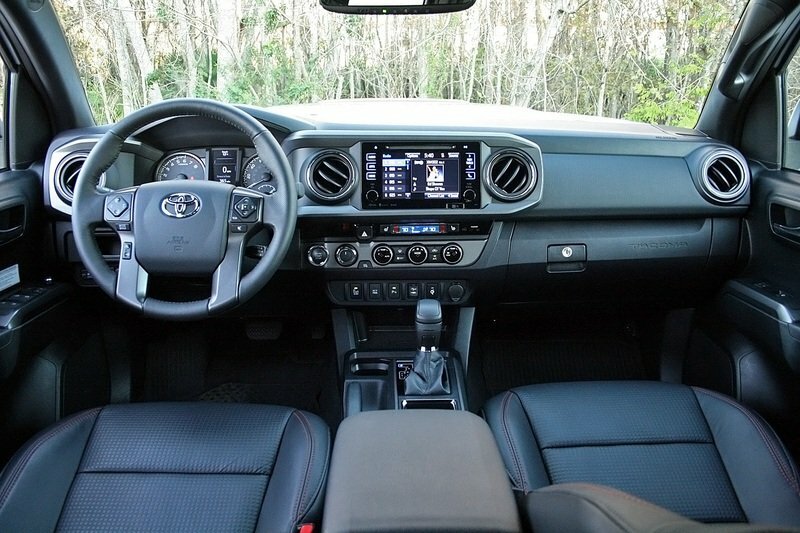 Per usual for a modern Toyota, the 2020 Tacoma TRD also comes with a number of safety-focused technology features, all thanks to the standard Toyota Safety Sense P (TSS-P) tech suite. TSS-P can be found across the entirety of the Tacoma range, and comes with systems like Pre-Collision Braking with Pedestrian Detection, Lane Departure Alert with Sway Warning System, Automatic High Beams, and High-Speed Dynamic Radar Cruise Control. Interestingly, the Tacoma is the only entry in the segment with all these safety features as standard. 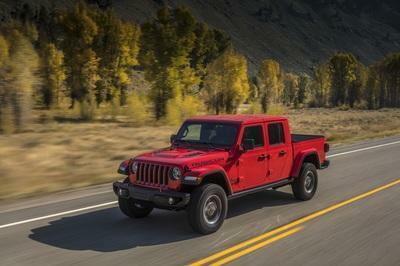 However, it’s believed the upcoming Jeep Gladiator will likely change that, but for now, the Tacoma is the leader in safety tech for the mid-size pickup segment. Finally, on the functionality front, the 2020 Tacoma also comes with an optional LED bed lamp to light up whatever you’re hauling. Max payload roughly 1,540 pounds. As expected, the 2020 Toyota Tacoma TRD comes with a long list of equipment to bless it with prowess in the rough stuff. Let’s kick it off with the TRD Off-Road, which comes with TRD-tuned Bilstein shocks and a locking rear differential, as well as tech goodies like Hill Assist Control, Multi-Terrain Select, and Crawl Control. Then there’s the TRD Pro, which gets the lighter 16-inch wheels already mentioned, as well as new 2.5-linch internal bypass shocks from Fox mated with new springs for the front and the rear. Making it all grip is a set of Goodyear Wrangler All-Terrain Kevlar-reinforced tires. Standard spec includes 4WDemand part-time four-wheel drive, which also utilizes an electronically controlled transfer case and an electronically controlled rear differential. It’s also worth mentioning that all Tacomas equipped with an automatic transmission come with those tech goodies listed above (Hill Start Assist Control, Multi-terrain Select, Crawl Control). 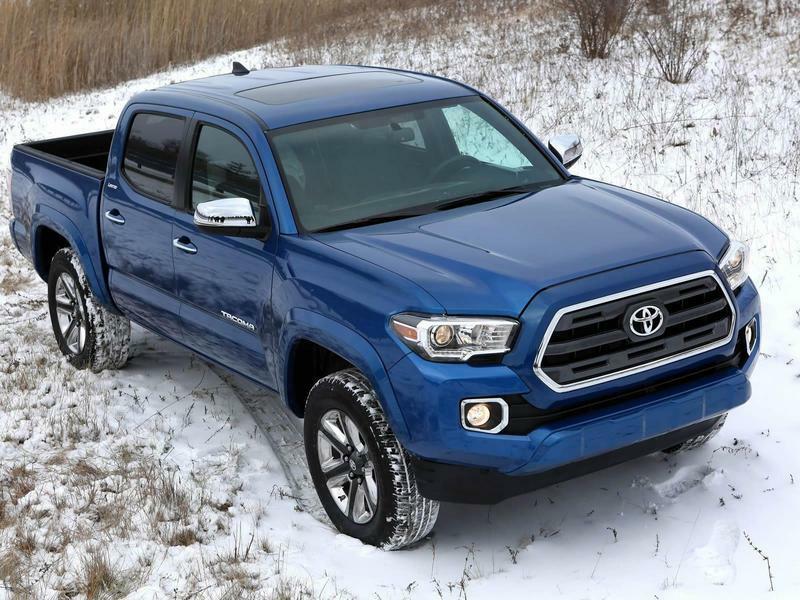 Under the hood, you can get the 2020 Toyota Tacoma with either a DOHC 2.7-liter four-cylinder making 159 horsepower and 180 pound-feet of torque, or you can upgrade to a 3.5-liter V-6 making 278 horsepower and 265 pound-feet of torque. Both engines mate to a six-speed Electronically Controlled Automatic Transmission with intelligence. Grab the V-6 powerplant, and you can alternatively mate it with a six-speed manual transmission. The TRD grades will most likely come exclusively with a V-6, as is fitting for a nameplate that stands for “Toyota Racing Development.” Both rear-wheel drive and all-wheel drive will be offered for TRD models. The V-6 models will also come standard with the Tow Package, which adds in a Class IV receiver hitch, an automatic transmission fluid cooler, an engine oil cooler, a power steering cooler, a 130-amp alternator, a four and 7-pin connector with converter, and Trailer-Sway Control. All told, the 2020 Toyota Tacoma can tow up to 6,800 pounds. Max payload should be rated at around 1,540 pounds. Let’s compare that with the competition - the Jeep Gladiator can tow 7,650 pounds and deliver a payload capacity up to 1,600 pounds, while the Ford Ranger can tow up to 7,500 pounds and deliver a payload capacity up to 2,128 pounds. 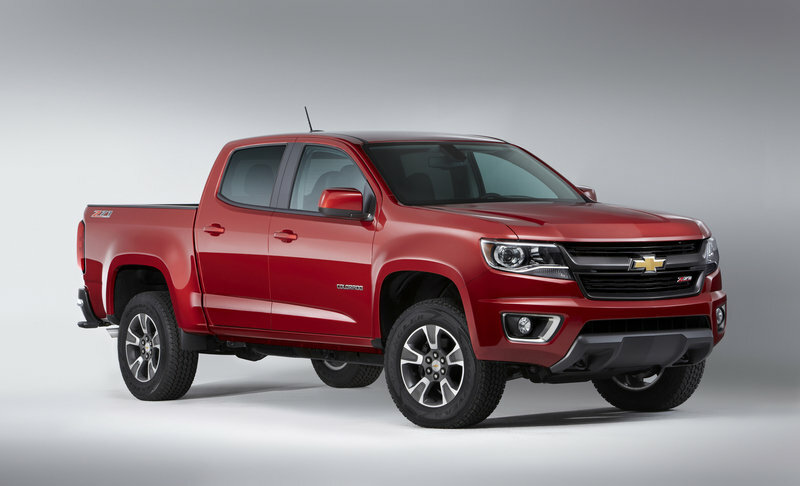 Finally, the Chevy Colorado can tow 7,700 pounds and deliver payload capacity up to 1,576 pounds. 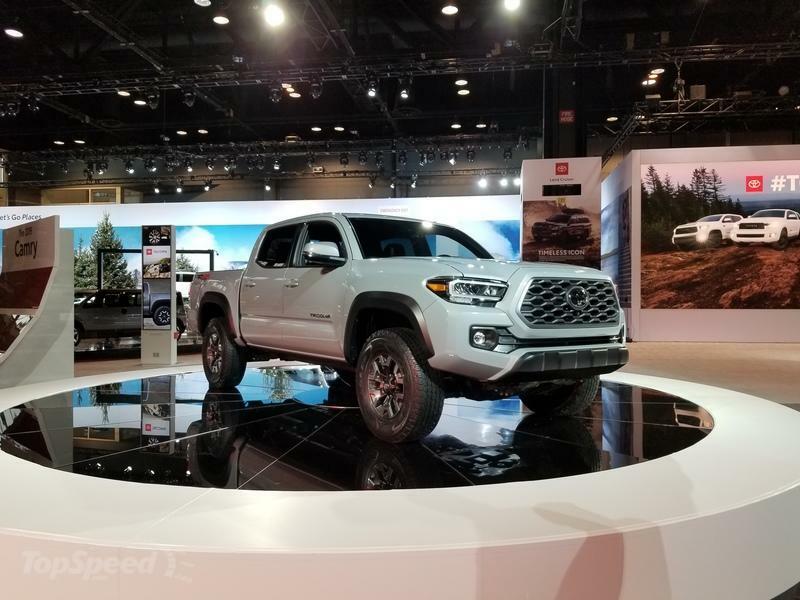 The 2020 Toyota Tacoma was first introduced at the 2019 Chicago Auto Show. 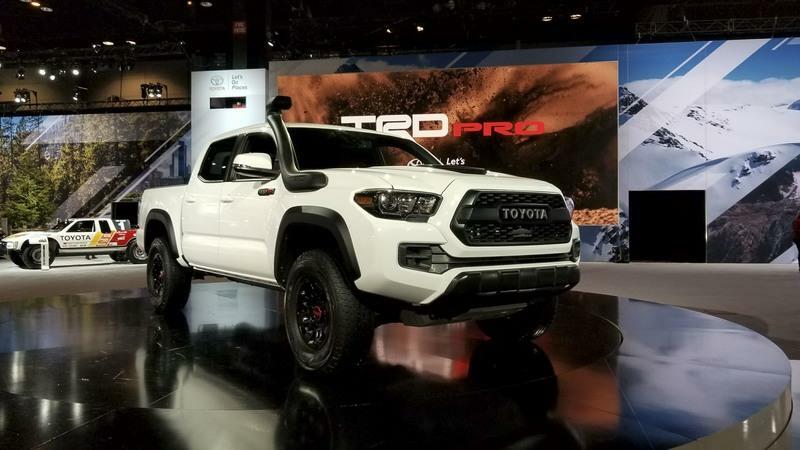 Buyers are offered over 30 different configurations and six grade levels, three of which come with a TRD badge - the TRD Sport, the TRD Off-Road, and the TRD Pro. These are the mid- to top-grade levels, with the SR and SR5 slotting in below the TRDs, and the Limited slotting between the TRD Off-Road and the TRD Pro. An official on-sale date and pricing information is not yet available. However, considering the equipment included in the latest 2020 model year update, a small increase over the outgoing model year is more than likely. 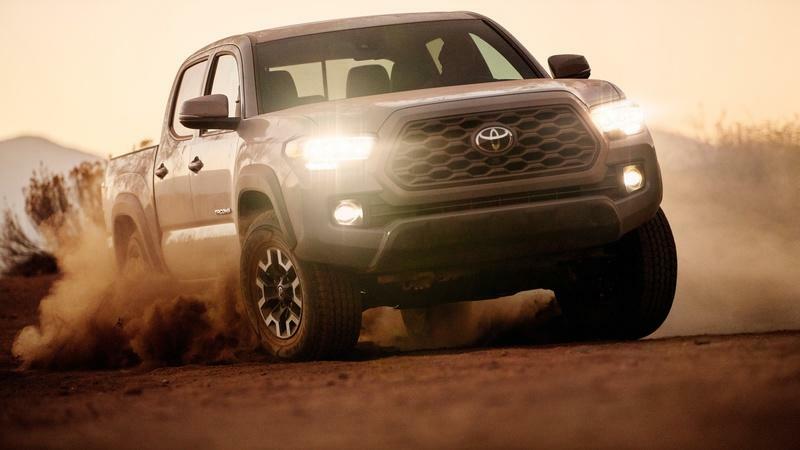 For reference, the 2019 Toyota Tacoma TRD Sport starts at $32,395, the 2019 Toyota Tacoma TRD Off-Road starts at $33,650, and the 2019 Toyota Tacoma TRD Pro starts at $42,810. The Blue Oval’s combatant in this segment is the Ranger, which was recently resuscitated after it was pre-maturely axed back in 2011. Providing the Ranger’s go is Ford’s ever-present 2.3-liter EcoBoost four-cylinder, which is turbocharged to produce 270 horsepower and 310 pound-feet of torque. Routing the output is Ford’ latest 10-speed automatic transmission, with either rear-wheel drive and four-wheel drive on tap for the traction duties. Go for the latter setup and you’ll also get a max of 8.9 inches of ground clearance. An electronically locking rear differential is equipped regardless of the drivetrain choice. Pricing starts at $25,395 for the base-model XL, while the range-topping Lariat starts at $32,210. Jeep is certainly no stranger to the trails, and the Gladiator looks like it could put up a pretty good fight when the pavement runs out. Rocking an iconic fascia in front and an extended bed in the rear, the Gladiator is a mishmash of Jeep goodness in between. Inside, the Gladiator pulls its cues from the Jeep Wrangler, and comes with the latest Uconnect infotainment, including a central display up to 8.4 inches in diameter. A standard 3.6-liter Pentastar V-6 is mounted behind the Gladiator’s grille, producing upwards of 285 horsepower and 260 pound-feet of torque. A 3.0-liter EcoDiesel option will be added in 2020. Sport and Overland models come equipped with a Command-Trak 4x4 system and two-speed transfer case. Pricing will likely start at $40,000. Chevy offers the Colorado in a multitude of configurations, but when it comes to off-road readiness, the top-trim ZR2 model is the one to get. 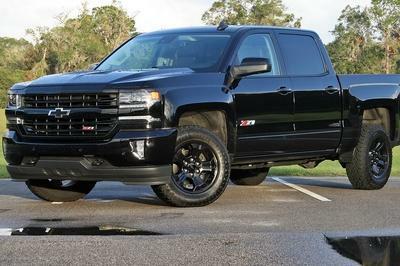 Making the ZR2 go is a 3.6-liter V-6 producing upwards of 308 horsepower and 275 pound-feet of torque, while a driver-selectable full-locking differential both front and back are included as standard for the drivetrain. A 2.8-liter Duramax diesel powerplant is optional, while the entry-level Colorado gets a 2.5-liter inline four-cylinder engine. The ZR2 also gets a number of tech tricks to help it perform, including hill descent control, an integrated trailer brake controller, and a Tow/Haul mode. Pricing starts at $42,995 for the ZR2 and $21,195 for the base-model Colorado. Read our full review on the Chevrolet Colorado. The Toyota Tacoma is one of the best-selling pickup trucks in America, and has been for years and years. The 2020 model year update looks to be every bit as reliable and tough as in years past, but now it comes with a slew of modernized bits and pieces to keep it at the front of the pack. Overall though, it looks as though Toyota is primarily banking on nameplate credibility for this one. The powertrain and drivetrain are both unaltered compared to the 2019 model year, and the truck is actually down on towing compared to the competition at this point. The Tacoma is also not quite as revolutionary as the competition, even with the extra tech added for this mid-cycle update. Still, the Tacoma should prove to be extremely solid in terms of reliability, and there’s something to be said of the “if it ain’t broke don’t fix it” philosophy. Read our full review on the 2020 Toyota Tacoma. Read our full review of the 2019 Toyota Tacoma TRD Pro.